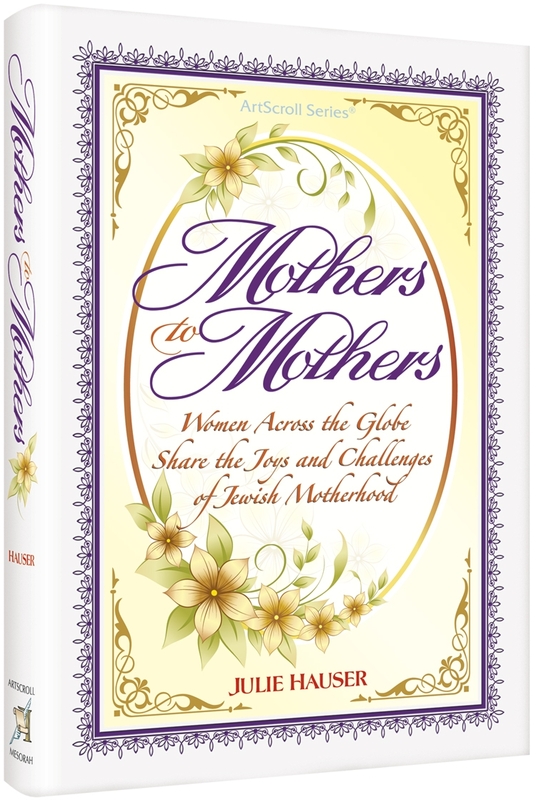 This post is part of a 7-week series of excerpts from the JewishMOM.com book of the year Mothers to Mothers: Women Across the Globe Share the Joys and Challenges of Jewish Motherhood by Julie Hauser (Artscroll), a collection of honest and colorful interviews with 30 Orthodox mothers sprinkled with insightful and inspiring mothering advice from respected educators and rebbetzins. I equated parenting with putting my intellect into suspended animation, to be thawed out only at their high-school graduation. Let those cut out for “coochie, coochie, coo” while away a decade of their lives. I despised baby talk. I had invested my entire adult life in pursuing a certain goal — enlightenment. The ashram had taught me that children and spiritual practices were incompatible. Even here, in my rented apartment in the Old City of Jerusalem, I rose early, spent two hours praying the Jewish morning prayers, meditating on the deep import of every word. This regime would be impossible with a crying baby or a meddlesome toddler. I was not willing to throw 17 years of arduous spiritual practice into the diaper pail. In my gut I was still convinced that children and spiritual attainment were mutually exclusive, like children and a clean house. I decided to take my predicament to my ultimate spiritual advisor, the Hassidic Rebbe of Amshonav. The Amshonaver Rebbe embodied the spiritual greatness I was striving to attain. He meditated deeply on every word of every prayer, taking a full two hours to pray the Grace after Meals, which most Jews zip through in five minutes. So long did it take him to complete the extensive Shabbat prayers, with all his Kabbalistic meditations on every word, that he usually ended Shabbat on Tuesday. I had seen the holy Rebbe three times before, always in the middle of the night. The procedure was to request and be granted an appointment on a particular night, then on that night, around midnight, to go to the Rebbe’s tiny third-floor apartment in the Jerusalem neighborhood of Bayit Vegan, and to patiently wait one’s turn. At between 3 and 4 in the morning, the frosted-glass doors to the dining room, where the Rebbe received his visitors, would slide open, and his attendant would gesture to me to enter. When I requested an appointment this time, however, I was informed that the Rebbe was now seeing people only during the day and to be there promptly at 2:45 in the afternoon. The apartment looked totally different with the Rebbe’s family (7 daughters at that time) awake and about. Two daughters with long dark braids passed me on their way to the minuscule kitchen. When the attendant ushered me into the dining room, I noticed a baby in a pink stretchy standing up in a playpen in the far corner of the room. The Rebbe rushed in (he always walks fast) and sat down directly across the dining-room table from me. I was ready with my question: Wouldn’t taking care of babies be an obstacle to my spiritual attainment? But before either of us could speak, the baby in the corner started to wail. “Excuse me,” the Rebbe said, jumping up. He rushed over to the playpen, lifted up the baby, quieted her, carried her back to the table, and sat down again facing me, the baby in his lap. “Now, what was your question?” the Rebbe asked me kindly, both he and the baby peering earnestly at me. My question froze in my mouth. Seeing the holiest person I knew involved in the very activity I disdained made me feel that God Himself was rebutting my argument. I would have to relinquish my sense of control. Children were unpredictable. My schedule to go to bed at 11:30 and get up at 6:30 would not assure me seven hours of sleep, not with teething toddlers, not with nightmare-plagued five-year-olds. No expensive new dress was immune to the stains of chocolate-covered hands. No immaculately cleaned room would withstand ten minutes of ransacking for a misplaced toy. No carefully planned excursion would resist the sheer torture of squabbling adolescents. Two months later, I met a 39-year-old musician from California. We got married a month shy of my 39th birthday. At the age of forty, I gave birth to my first child, a daughter. When I would feed my baby, I felt a sense of total contentment, of potential realized. Being replacing a lifetime of becoming. I would wonder: How could I have ever thought that this is mindless drudgery? I felt like all my creativity was being tapped in order to distract the baby when she got fussy, to stimulate her developing brain, to avoid the pitfalls of parenting. I had administered an organization, written a 640-page book, delivered weekly lectures to adulatory audiences, but nothing I had ever done gave me the sheer joy and satisfaction of raising my baby. Nothing impinged on this heady exultation. Even when I would change her diaper, the activity which had stigmatized motherhood for me, I would be filled with wonder at how the milk which she got from me (itself a miraculous substance) would somehow feed all her diverse millions of cells and then be eliminated through an alimentary system so perfect and elegant in design. As I pinned her clean diaper on (I was an aficionado of cotton diapers), I would feel like I was tripping on love — love for my baby, love for her Creator, love for my blessed, ever so blessed, life. But together with joy and surprise was another feeling: a sense of how close I had come to missing all this. What if I had stayed at the ashram another few years? What if I had not reversed my decision not to bear children? It would have been like having a winning lottery ticket and tossing it out with the credit card receipts and scraps of paper that accumulate at the bottom of my purse. I would never have known that the jackpot was mine. Excerpted from “To Baby or Not to Baby,” by Sara Yoheved Rigler (Aish.com), published with permission. When I was in seminary, one of the Rabbis came with his family for Shabbos. When he was saying a dvar Torah, his wife was running around watching the kids. I remember thinking that I would much rather be a student hearing divrei Torah than a mother running around after kids. After 10 more years of single-hood, I finally got married and had children b”H. My attitude turned around 180 degrees. Nursing was a tremendously fulfilling experience for me. There is so much potential for personal and spiritual growth being a mother.